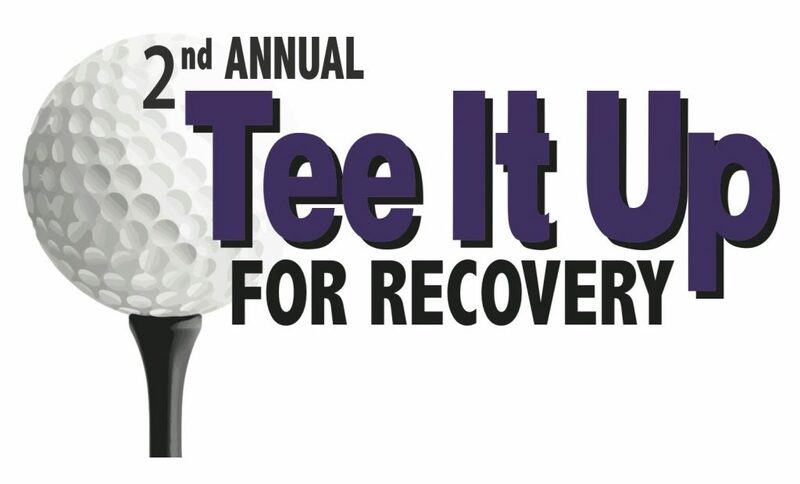 We are thrilled to be hosting the 2nd Annual Golf Outing this fall in conjunction with our colleagues across the region. Last year’s event brought 19 teams to compete at Bala Golf Club and this year we hope to get even more golfers to the Plymouth Country Club this October. According to Columbia University (2007), approximately 25% of college students meet the criteria for a substance use disorder. This equates to approximately 50,000 college students in our area who need our help and support. Collegiate Recovery Communities are fertile ground for students students in recovery or seeking recovery and positively changing the stigma associated with substance use. 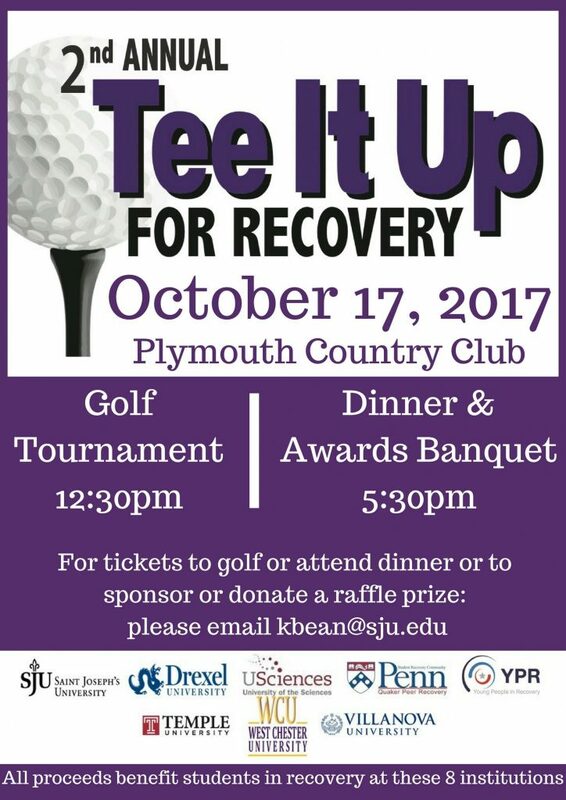 We encourage all current college students, alumni, faculty/staff and administrators as well as allies of recovery in the area to support this event which will in turn support the Colleague Recovery Communities in the greater Philadelphia area. To register as an individual golfer, a four-some, or for dinner only – visit our eventbrite site here. 6:30pm-6:45pm: Speaker Michael Huggins, Founder & Owner of Transformation Yoga Project – serving people impacted by trauma, addiction and incarceration through trauma-sensitive, mindfulness-based yoga. 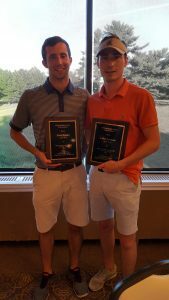 Last year, two Saint Joseph’s University students Zach Dahme ’16 and Luke Gorman ’16 won the Advocate of the Year award during the dinner and awards ceremony at this golf outing. These two students have changed the environment of SJU with their advocacy work on campus. They helped form The Flock: Allies of Recovery, a student organization to support recovery efforts on campus. They started a new 12-step meeting on campus which has been active for 2 years now and is extremely popular with roughly 75 or more young people attending every Friday night! They also shared their story on campus in classrooms and at events to help de-stigmatize substance use disorder. Luke and Zach have been instrumental at SJU and we are very grateful for their service. Which local college student will be awarded the Advocate of the Year award this year? Join us at this event to find out!